The 1798 rebellion was one of the bloodiest and most tragic episodes in Irish history with atrocities committed on both the rebel (United Irishmen) and loyalist (British Government) sides. Just outside Blessington, Holt’s forces met with a man named Jonathan Eves. Eves lived in nearby Balliboy. Holt described him as “half Quaker, half protestant, a good but no party man” and considered him “a valuable friend.”3 During the conflict Eves and his daughters had taken several wounded British soldiers into their home and nursed them back to health. As he was about to ride onwards to Blessington, Holt heard a shot and turned around to see Eves lying dead on the road. Later that day, Holt attempted to have Downes made accountable for his actions but was cautioned against it by his officers, presumably as it would not have been popular with the men under his command. 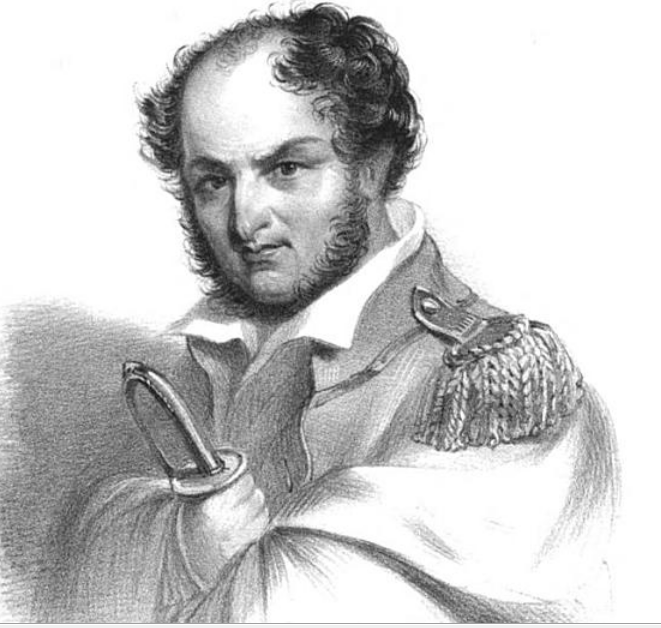 *Henry Charles Sirr (1764–1841), deputy ‘Town Major’ of Dublin between 1796 and 1808 who was also responsible for the arrest of United Irishmen Lord Edward Fitzgerald and Robert Emmet. He escaped at least three assassination attempts, including the one referred to above. ^ A follower who carries out orders without question. 1. Madden, Richard Robert. Literary remains of the United Irishmen of 1798: and selections from other popular lyrics of their times, with an essay on the authorship of “The exile of Erin.” J. Duffy, 1887. 2. Moore, Tony. Death or liberty: rebels and radicals transported to Australia 1788-1868. Pier 9, 2010. 3. Holt, Joseph. Memoirs of Joseph Holt, General of the Irish Rebels, in 1798: in Two Volumes, Volume 1. Colburn, 1838. 4. Keenan, Desmond. Ireland Within the Union 1800-1921. Xlibris Corporation, 2008. 5. Curry, John. An historical and critical review of the civil wars in Ireland, from the reign of queen Elizabeth to the settlement under king William – With the state of the Irish Catholics from that settlement to 1778. R. Conolly, 1810. 6. O’Donnell, Ruán. The Rebellion in Wicklow, 1798. Irish Academic Press, 1998. 7. Saunders Newsletter, 08 April ,1799. 8. Cullen, Luke. Insurgent Wicklow, 1798: The Story as Written, Part 3. Kestrel Books, 1998.